If you’re familiar with the PC, and gaming industry you’ll more than likely have heard of the TUF products from ASUS. The TUF brand originated quite some time ago with some early 990FX motherboards showcasing the TUF logo and name. Sometime later ASUS decided to make the TUF brand more premium with motherboards like the ASUS SABERTOOTH Z170 MK1 and SABERTOOTH Z170 S. This higher-end status lasted a few generations until ASUS’s STRIX and ROG line became more prominent as their higher tier offerings. Fast forward to today, and the TUF brand does still exist in today, though it has seen a slight shift towards the lower end and mid-tier of the market. However, ASUS has not completely pushed the TUF line to the side as now they’ve created the TUF Gaming Alliance which features not only themselves but also other big players in the industry. This alliance now work closely together to create TUF branded hardware and peripherals. Some notable partner companies include Geil, Antec, Cooler Master, Corsair, G.Skill and so many more and these have all provided their expertise to release hardware such as CPU coolers, power supplies, RAM and cases. 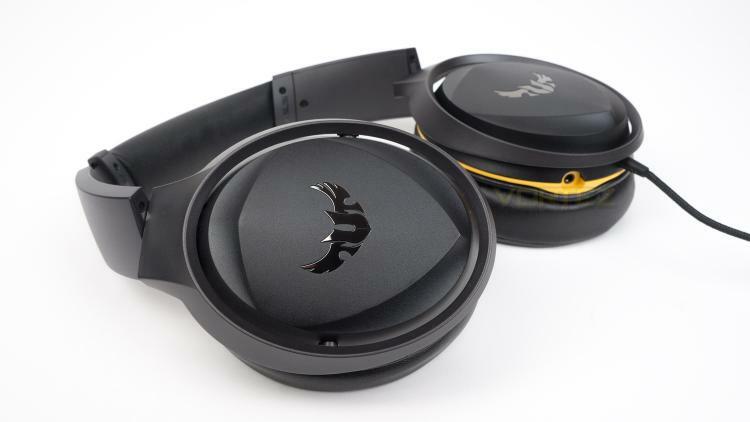 Today we’ll be taking a look at one of ASUS’s own TUF products which takes the shape of their TUF Gaming H5 headset. The Gaming H5 is a versatile headset that can be used not only on PC but also Mac, console and even mobile. Some of its core attributes include some 50mm Essence drivers, onboard 7.1 virtual surround sound, a dual microphone setup and support for their Armoury software. Question is, will the H5 live up to the TUF name? Let’s find out.